I got today some reflecting tape and this got incredible versatile abilities. It can be used in combination with LED products and it can be used for SAK purposes. I would believe it can be cut to fit the plastic Swiss Army Knife scales as well. If you do not mind the problem removing it afterwards. 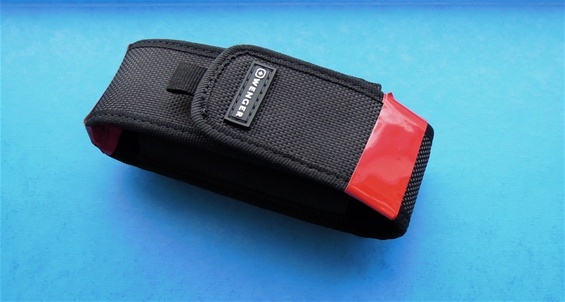 This can be used on the Victorinox SwissTool sheath/pouch and the Wenger Case/pouch. Remember to do an extra loop and remember how you carry it on the body. With reflecting tape one is depended on an external light source towards you to be seen. Anyhow it will increase the safety for you. It can be put on different places. Only the imagination can stop you. Makes sure the tape is in good contact and make sure there are no loose places.